The Leadership Day had taken place on Thursday the 7th of March. 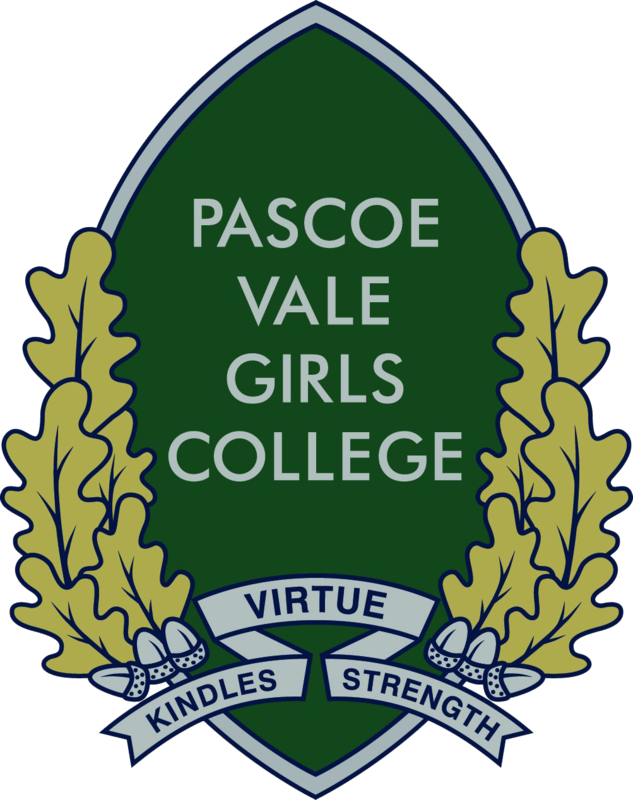 Many thanks to the Year 12 students for planning and organising a successful Leadership Day for PVGC house team captains. Captains from all year levels have celebrated their leadership roles by participating in a number of skill building activities. They’ve had prominent scientist and an environmental advocate guest speakers Candice Freeman giving them a very inspiring presentation about her achievements and work as a Woman in STEM. They’ve also had two Guest speakers from Victoria police, one of which was Sargent Cambridge from Fawkner police. 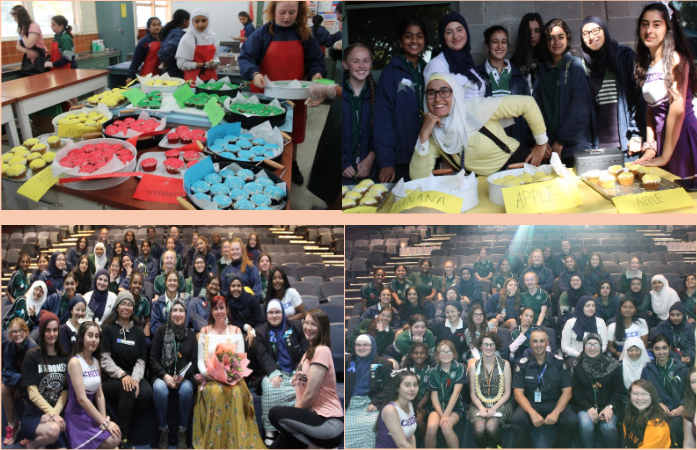 Students have had a cupcake decoration and selling competition among their house teams at which Wake house had won the competition for making most sale. We were proud to see all our captains working together and get to know each other across all year levels. Here are some photos taken as well as some student reflections on the day. 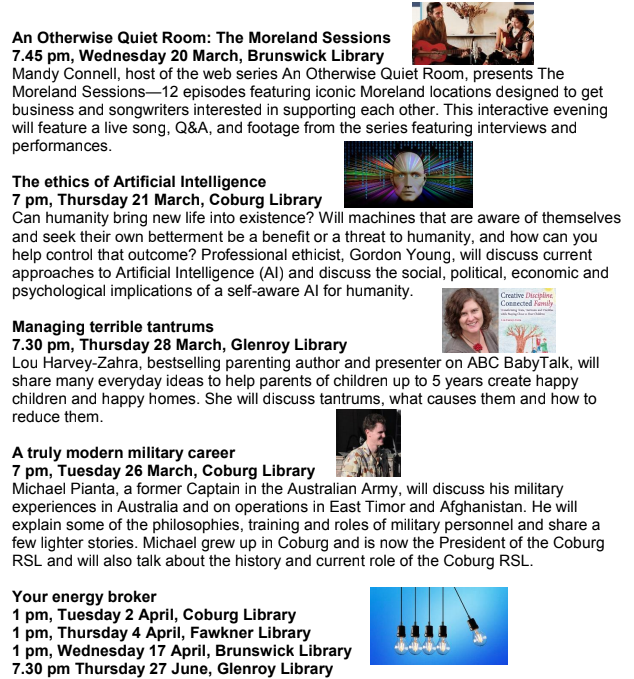 Please see below for some of the free upcoming events at Moreland City Libraries. For the full list, please click here. We would like to invite you to the Parent/Teacher/Student Conferences on Wednesday, 27th March from 1pm until 7.30pm. We encourage you to visit the Compass Parent Portal to book in your interview times with your child’s teachers. Compass will help you through the process. The interviews will be available for booking from 6pm on Wednesday, 20th March until 7pm on Tuesday, 26th of March. Please be aware that students will not be expected at school for the day, but are encourage to join you for the conference with the teachers. Please contact the school if you have any questions.